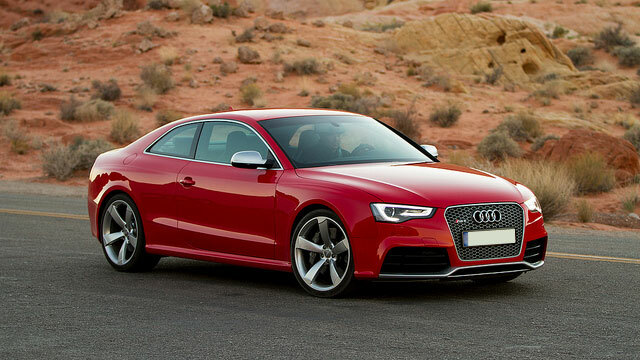 Why should I take my Audi to Bimmer Rescue in Richmond for auto repair services? When your Audi needs auto repair, count on our team of auto mechanics at Bimmer Rescue in Richmond, near Short Pump, The West End, and The Fan District. Our technicians are all A+ factory-trained and Master-certified with at least ten years of hands-on Audi experience under their belts. In fact, we specialize in the service and repair of Audi, BMW and Mini Coopers. What separates Bimmer Rescue from dealerships and other auto repair shops in Richmond, Short Pump, The West End and The Fan District? Unlike some dealerships that work until your warranty is up so they can sell you another Audi, we strive to ensure you get the highest possible value from the Audi you have. With preventative maintenance performed by our expert auto mechanics, we hope to keep your vehicle running safely and smoothly for the long-term. Our auto repair shop is equipped with the latest and greatest in tools and technology. We also strive to make sure your experience with us is as seamless as possible. That’s why we offer a shuttle and loaner car service. How do I know I can trust Bimmer Rescue to properly service or repair my Audi? We work hard to build long-term relationships based on honesty, integrity, and trust. To ensure you’re aware of your Audi’s overall status, we’ll perform a comprehensive digital inspection on your vehicle and share with you what we learn. That way, you can make informed decisions regarding your Audi according to your specific circumstances. Together, we can develop a plan that works for you and your Audi. Plus, we guarantee our work with a three-year/36,000-mile warranty on parts and labor. What do customers say about your Audi auto repair services? “Audis are notorious for being difficult to work on and having inscrutable diagnostics. Having been very dissatisfied with the service at Audi dealership, we did not wanting to go to that route, so we were thrilled to learn about Bimmer Rescue. We had a convertible top repaired, which no one else in the area seemed to be able to do, and most recently a longstanding issue with the chip in the ignition key. Both problems were resolved, service is always professional and every step of diagnosing problems is made clear with phone calls, emails and pictures. GREAT group of knowledgeable people!” -- Judy C.
Call Bimmer Rescue if you have question regarding your Audi, or schedule an appointment online. You’ll find us at 6401F Dickens Place in Richmond, VA 23230 near Short Pump, The West End and The Fan District. We look forward to taking care of your, your Audi, and all your auto repair needs.